Bethany Marbury is 14 years old and in the 10th grade. She lives in metro-Detroit and attends Taylor Prepatory High School where she maintains a 4.0 GPA and is a member of the National Junior Honor Society. She has won Student of the Month, plays soccer, softball, chess, as well as piano and trumpet in her school band. She also volunteers with the Children’s Ministry at her church and the Center for the Blind. Bethany found out about Ms. Selina Johnson and the Hollywood Golf Institute through her god-parents. She started playing in June of this year and has been playing ever since. 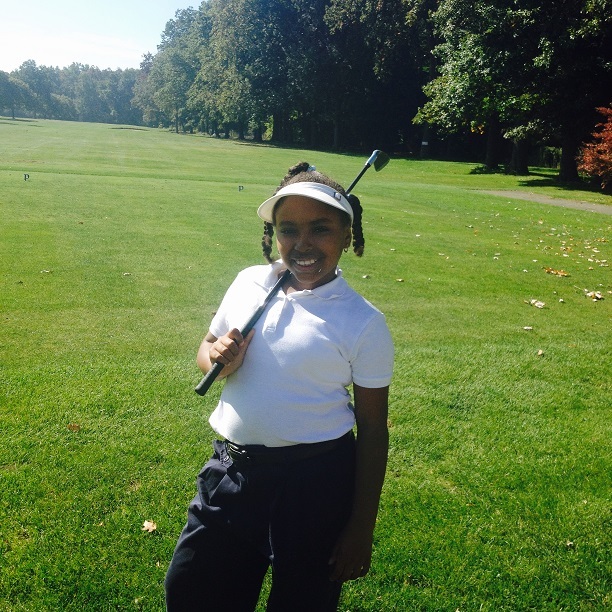 She participated in various summer camps and played in her 1st tournament where she placed in the chipping competition. 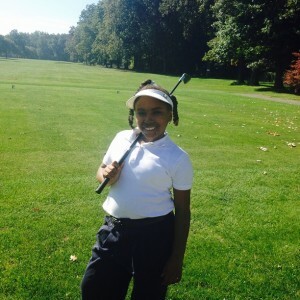 Bethany has also competed in the Arise Detroit Junior Invitational Tournament and the Calvin Peete City Wide Driving Contest (where she got her first birdie J). 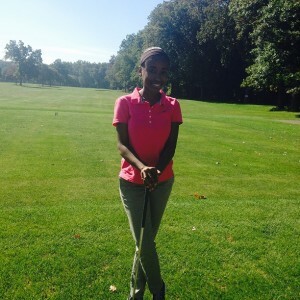 That inspired her to want to learn more and go further into the world of golf. Kendall Marbury is 8 years old and in the 4th grade. She lives in metro-Detroit and attends Metro Charter Academy where she is a 3.7 GPA student. She has won Student of the Month, plays soccer, chess, and ran in the Girls on the Run 5K Race. Kendall found out about Ms. Selina Johnson and the Hollywood Golf Institute through her god-parents. She started playing in June of this year and fell in love with golf. She participated in various summer camps and played in her 1st tournament this summer where she placed in the putting competition. She also competed in the Arise Detroit Junior Invitational Tournament. Kendall is very competitive and wants to be the female Tiger Woods of golf.